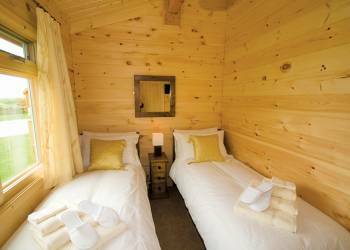 Amidst the lovely countryside of the National Forest and surrounded by one acre of peaceful landscaped grounds with a wildlife pond these three beautifully styled and smartly furnished timber lodges offer a truly relaxing holiday experience. Boasting fine country views and their own individual verandahs and hot tubs they sit adjacent to the owners' mixed farm in the hamlet of Mount Pleasant an ideal location for exploring the nearby Peak District National Park and the myriad delights of the counties of Staffordshire and Cheshire. A wonderfully diverse range of attractions lie within easy reach  Tutbury Castle and the National Museum of Childhood at Sudbury Hall are just 3 miles away whilst Kedleston Hall (N.T.) and Ashbourne a delightful and historic market town known as the gateway to glorious Dovedale in the Peak District are both about 10 miles distant as are the thrills and excitement of Alton Towers. The bustling market town Bakewell (of delicious pudding fame) and the magnificent stately homes of Chatsworth House Shugborough Hall and Haddon Hall are all within 20 miles of Oaklands Country Lodges and great days out are easily accessible at Drayton Manor Waterworld and Trentham Gardens Monkey Forest. Golf and riding are available within 2 miles and fishing is enjoyed locally. Dining pub 1 mile shops 2 miles. 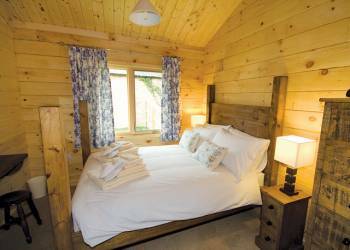 Oaklands Country Lodges offers the following facilities. 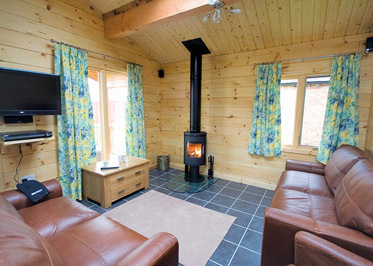 Open plan sitting room with wood burner and kitchen and dining areas. Double bedroom with TV and ensuite wet room/WC. Double bedroom with four poster bed and TV. Twin bedded room with TV. Bathroom/WC with 6' double ended bath (shower attachment). 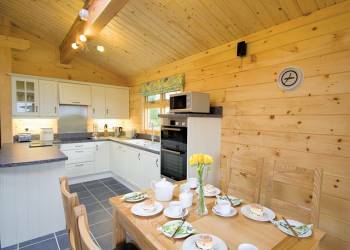 Have you been to Oaklands Country Lodges? Please submit your review so that others can benefit from your experience. Important note: Information provided here about Oaklands Country Lodges is based on our best knowledge. 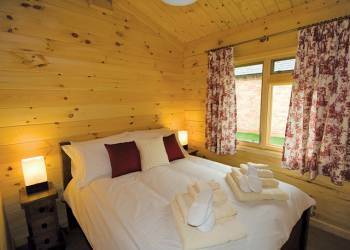 However, please check with Oaklands Country Lodges before booking to ensure that you have the information required. Reviews are the sole views of the contributor and do not necessarily represent the views of CampsitesandCaravanParks.com or Oaklands Country Lodges.